Why are effects so important? When it comes to effects work, the job has only been done right if the viewer doesn’t notice you’ve done anything at all. And that certainly includes the often overlooked world of sound design. Everything has to fit just sight so that you truly believe that a certain object on the screen is making that particular sound. If the sound doesn’t fit, it bursts the bubble and destroys the audience experience. A great example of how powerful sound can be is the example video above, a binaural soundscape entitled ‘Virtual Barber Shop Haircut’, but be sure to wear a decent pair of headphones before listening to truly enjoy its brilliance. The significance of sound to Distant Future’s work. “The sound and music are 50% of the entertainment in a movie. Occasionally we do get outside help for larger projects or where there are specific custom sounds that need to be made and through that, I recently had the opportunity to visit Andrew Cleaton at Epiphany Music whilst he was working on the sound design for one of our upcoming films. More about Epiphany’s Andrew Cleaton. 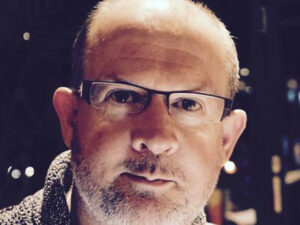 Andrew Cleaton is a composer, producer, sound designer, educator …. you name it! If it’s got something to do with sound, chances are he is capable of doing it. When I arrived at his studio, he finished up recording some extra-crunchy guitar riffs before we watched the film through from start to finish to listen to what he’d contributed to the footage so far. We focused on a scene that takes place in a fridge to make it sound like an Arctic environment using a combination of techniques from Adobe Audition and Logic Pro. Andrew explained that Adobe Audition is generally better for sound effects editing and collaborative work, whereas Logic Pro is primarily music editing software. We found an Arctic wind recording and used it along with Logic’s Space Designer Reverb plug-in to make it seem as though the sound was coming from within the fridge. The plug-in has a multitude of settings for an array of environments and you could easily spend an entire day playing out with the different sounds it can generate. It really opened my ears as to just how much of a powerful effect reverb can be. Something else I learned that day is the difference between diegetic and non-diegetic sound. Diegetic is sound which comes from an object or a source within the film (for e.g. character voices, objects or music coming from an object like a radio). These sounds should be directly affected by their environment. Non-diegetic sound is generally a music score, or a narrator, i.e. anything that is clearly not coming directly from the portrayed world. These sounds would typically not be affected by the environment that the film is set in. Andrew also showed me how he has previously recorded a large library of car sounds by setting up multiple microphones around the engine and exhaust whilst the car is lifted off the ground (safely at a garage!). The car moving through the gears is recorded with the different sounds of the engine and exhaust (from the differently-placed microphones) being then used together to create a much fuller overall sound. Another technique shown was to turn the bass down and treble up on one sound, then the reverse on the music. This way, the sounds layer together nicely rather than all of them blaring over the same frequency. For me, sound has always been one of my favourite things about animation. Many people focus only on the visuals and think if it looks good, it’s done. But visuals only make up 50% of the movie-going experience and shouldn’t be overlooked. The same is true for animated and filmed marketing materials. 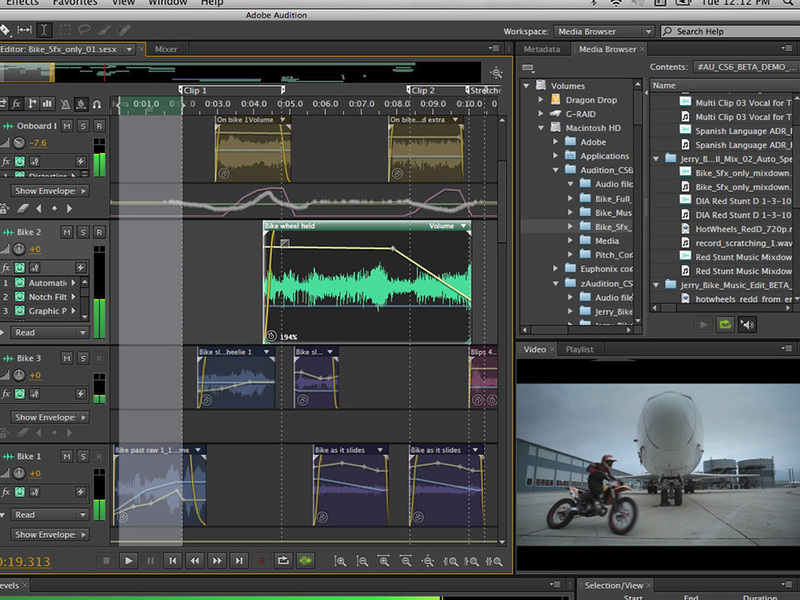 If you want to make sure your animation is as effective as possible, ask us how we can use sound design to help. Call us on 01535 357475 or contact us via our Chat Box facility at the bottom of your screen.